Golden City Lodge No 1. A.F. & A.M.
Back in the year 1860, on the 17th day of the month of October, the Most Worshipful Grand Lodge of Ancient Free and Accepted Masons of Kansas Territory did a wonderful thing. 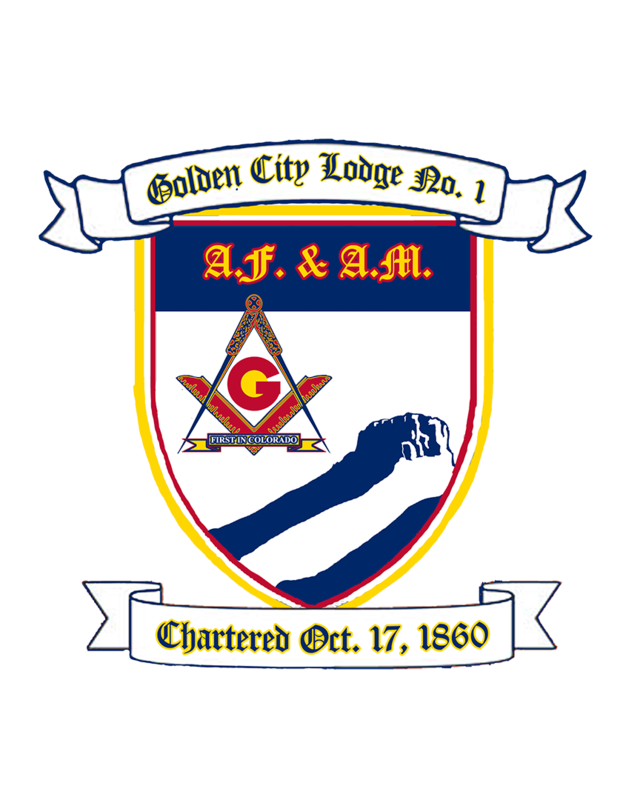 They issued a Charter for Golden City Lodge No. 34 A.F. & A.M. On January 8, 1861 Right Worshipful Brother L. L. Bowen, Past Deputy Grand Master of Nebraska installed Isaac E. Hardy as the first Worshipful Master with Eli Carter as Senior Warden and James A. Dawson as Junior Warden. In concert with Summit Lodge No. 7 of Parkville and Rocky Mountain Lodge No. 8 of Gold Hill, both chartered by the Grand Lodge of Nebraska Territory, Golden City Lodge No. 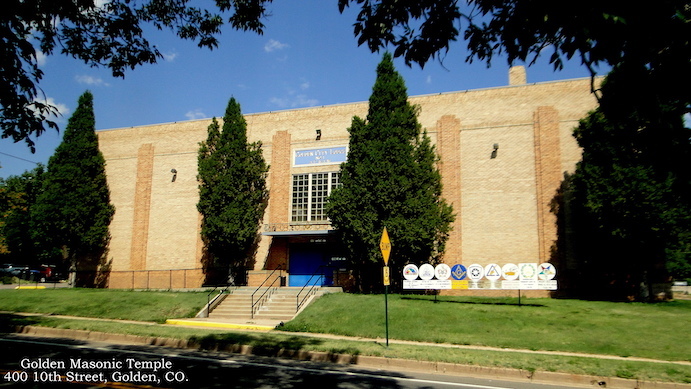 34 of Kansas Territory formed the Grand Lodge of Ancient Free and Accepted Masons of Colorado on August 2, 1861. These lodges became Golden City Lodge No. 1, Summit Lodge No. 2 and Rocky Mountain Lodge No. 3 under the Grand Jurisdiction of Colorado. Monthly Mount Zion #133 Pancake Breakfast at Golden City Lodge. Golden City Lodge met in several places during its history. It is reported that the first meeting was in a log cabin on Ford Street, and at a later date in the old Overland Hotel on Washington Ave. Later, a building was erected by W. A. H. Loveland, who owned the ground floor with the lodge owning and meeting on the second floor. After several years the lodge sold their interest in the building to Loveland but leased the hall for a meeting place. Next they met in a hall over the Linder Building and finally in the I.O.O.F hall over the Kelly Building on the West side of Washington Ave., directly across the street from the original hall in the Loveland Building. In 1950 the corner stone of the current temple building was laid at 400 10th St. and the Lodge started meeting there in 1951. More information about the Lodge's meeting places can be found in our Masonic Heritage pamphlet.